(Reuters) - Abercrombie & Fitch Co's (ANF.N) quarterly same-store sales fell less than expected and its profit more than doubled as the teen apparel retailer boosted gross margin by offering fewer promotions and controlling costs. The company's shares surged 17 percent to $22.80 in early trading on Friday. Abercrombie, once popular for its logo-emblazoned polo shirts, sweatpants and sweatshirts, has had a tough few years, struggling to cope with rapidly changing consumer tastes and stiff competition from relatively new entrants H&M (HMb.ST) and Inditex's (ITX.MC) Zara - leaders in the fast fashion industry. Abercrombie's sales have fallen for 11 quarters in a row, but the decline has slowed in the past two quarters, signs that business is improving after the company revamped merchandise, improved customers' in-store experience and shuffled management. The company hired top designers from brands such as Ralph Lauren and Tommy Hilfiger, to help breathe new life into its mainstay Abercrombie brand. It has changed the music, lighting and how it stacks clothes in stores and replaced its logo-centric clothes with trendier new styles in denim and floral prints over the past few months. The company has also reduced promotions and controlled inventories, which helped it boost margins by 120 basis points to 63.4 percent in the third quarter ended Oct. 31. 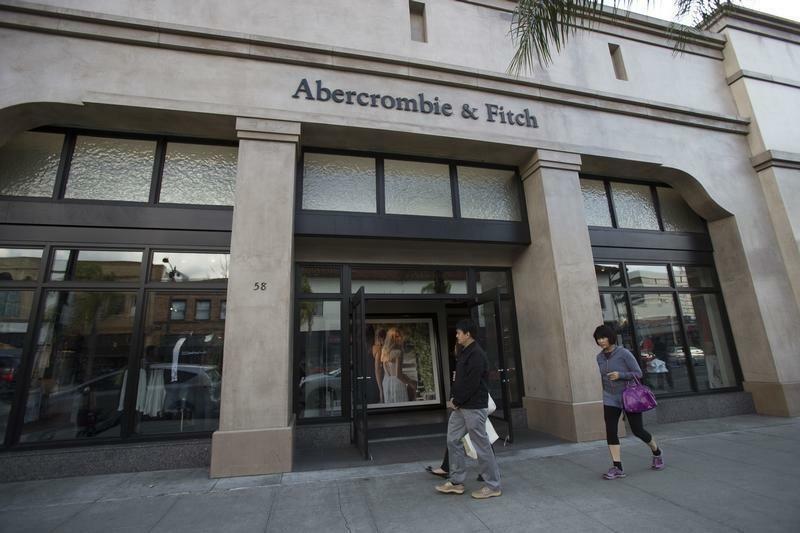 Abercrombie said it sold more items at full price in the quarter. "If you have the right product, there is a trend going on that is allowing teen retailers to grow same-store sales," Nomura Equities Research analyst Simeon Siegel said. Siegel said American Eagle Outfitters Inc (AEO.N) and Express Inc (EXPR.N) are also benefiting from revamped merchandise. Abercrombie's comparable-store sales fell 1 percent in the quarter, less than the 2.4 percent drop analysts on average were expecting, according to research firm Consensus Metrix. Total revenue fell 3.6 percent, to $878.6 million, the smallest decline in six quarters and also less than analysts were expecting. Net income attributable to Abercrombie more than doubled to $41.9 million. To be sure, the apparel industry is struggling, a trend underscored last week by weak results from department store operators Macy's Inc (M.N) and Nordstrom Inc (JWN.N), both of whom blamed weak consumer discretionary spending. "As we look ahead in the fourth quarter, there are mixed signals in the sector and we remain cautious," Abercrombie Executive Chairman Arthur Martinez said. However, the company said it still expects comparable sales to be flat in the holiday quarter.